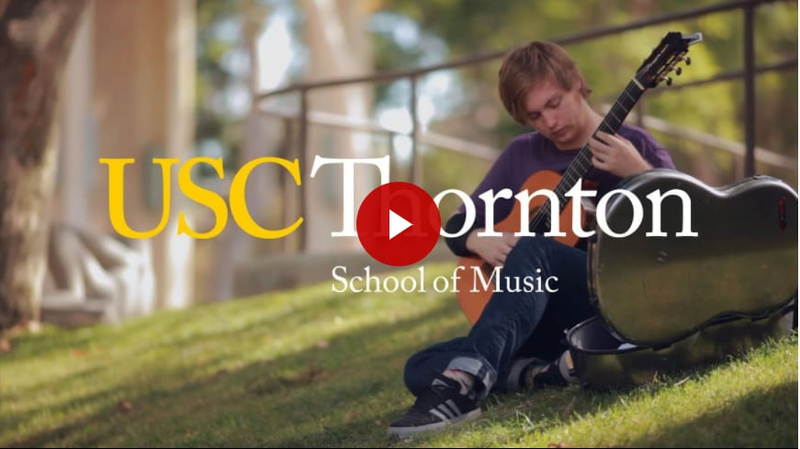 USC Thornton School of Music has defined itself as a leading innovator in professional musical training and education. Thornton is always striving to better serve our students and their evolving needs. Continuing this legacy, Thornton celebrates the launch of five new professional graduate degree programs that are designed to give students the tools they need to reenergize the music industry, redefine music education and transform our communities. When Duncan Thum (’06, GC ’13) got the call, his jaw went slack. An Emmy nomination. Less than two years out of school, in his rookie year as an independent Hollywood composer, he’d made the Television Academy’s top-six list. He majored in humanities from Thornton with an emphasis in music, which gave him the bandwidth to throw himself into keyboard studies, composition and recording engineering. After college, a fellow Trojan asked him to compose music for her feature film, and something clicked. He decided to go back to school—specifically, back to USC Thornton’s program in screen scoring. 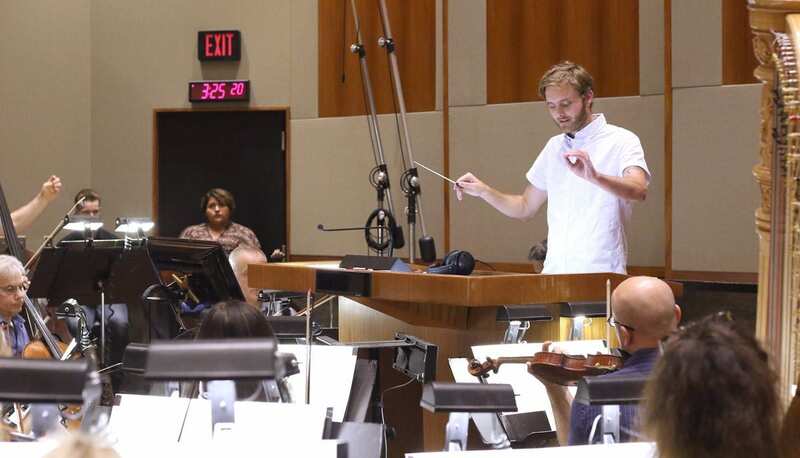 Only a handful of university programs groom composers specifically for the entertainment industry, and USC Thornton tops the list. Created in 1988, the graduate certificate program morphed last year into a more robust curriculum leading to a Master of Music in Screen Scoring degree. Some people can never do just one thing. Artist Diploma student Mak Grgić MM ’12, DMA ’16 is an example of that, on steroids. 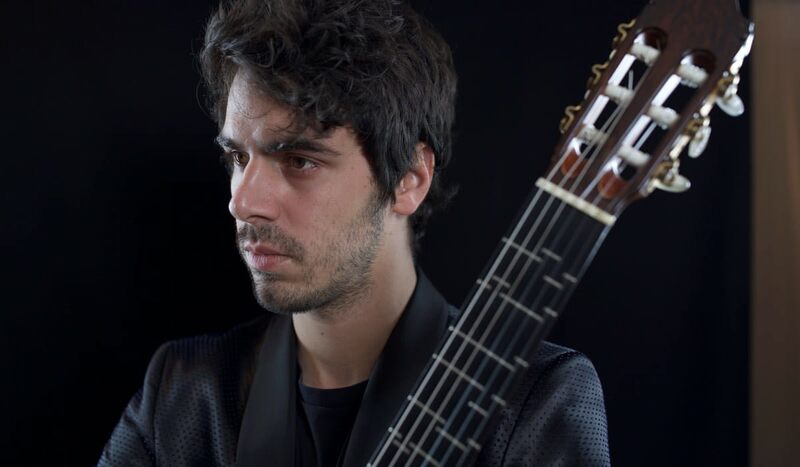 This past spring, he launched the Zagreb Guitar Festival with the goal of shattering the artificial barriers keeping guitar enthusiasts of all flavors apart. Simultaneously, he was helping to launch the interdisciplinary Music & Arts ReSound festival in Los Angeles, an expanding network of festivals celebrating avant-garde music, applied arts and independent film. Grgić owes his festival-building chops to Kenneth Foster, who leads USC Thornton’s new Arts Leadership master’s program. For an example of how versatile a music teacher must be today, consider Vince Womack’s class schedule. At the James Foshay Learning Center in south Los Angeles, Womack, a 1998 master of music education graduate from the USC Thornton School of Music, teaches seven classes. 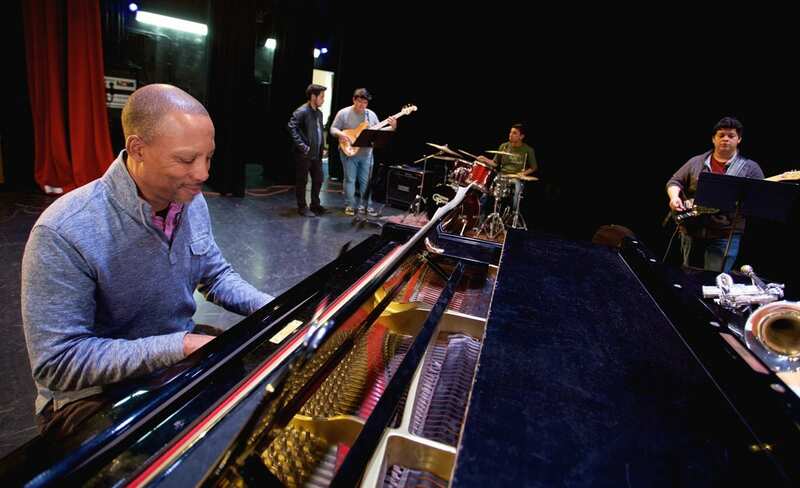 There is choir, music history, AP music theory, concert band and wind ensemble – all fairly traditional classes – but also a class in jazz and a music technology course, where students explore and create electronic music. Womack’s experience tracks with what music educators are encountering all across the country. Today’s elementary and secondary schools want teachers who have contemporary music skills. USC Thornton, responding to these cultural shifts and the feedback it receives from graduates who are in the field teaching, is inaugurating a new master of music (MM) degree, Contemporary Teaching Practice, to prepare musicians to teach in our globalized, massively multi-ethnic 21st century. In addition to the new degree programs, Thornton is leading the charge to overcome a challenge among music students. The majority of music students have missed out on opportunities to study abroad as an undergraduate, often because of strong ties to individual teachers who provide one-on-one training. In Spring 2017, Thornton launched its first full-semester exchange program with the Sibelius Academy, a USC Maymester program in Paris as well as several intensive study abroad experiences across Europe for students in our Popular Music, Music Industry, Composition and Classical performance degree programs. To reach a global audience, USC Thornton created a new video introducing the school’s three divisions with the help of Dean Robert Cutietta, our students, faculty, and composer John Williams. Innovative student initiatives and degree programs are two of many reasons Thornton is one of the world’s top music schools. This innovation and continued success is only possible because of the generosity of our parents, alumni and friends, like you, whose commitments have helped us to raise $53 million of our $75 million campaign goal. I invite you to join with us to maintain this momentum in the months and years ahead. Every gift to Thornton, no matter the size, directly impacts the lives of our students, ensures Thornton is a leading force in music for the 21st century, and counts toward the Campaign for the University of Southern California, which seeks to fuel the University’s continued success and impact far into the future. Together, we can make a lasting impact that will forever change the landscape for the USC Thornton School of Music, the community and the world of music.